You are currently browsing the category archive for the ‘Meitantei no Okite’ category. 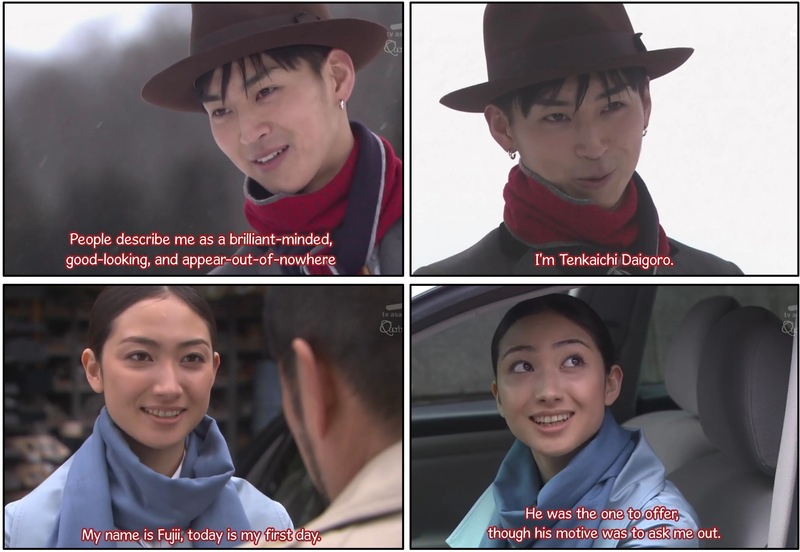 [jdrama] Meitantei no Okite ~ it looks pretty funny!!! I got hold of episode 1 of Meitantei no Okite from D-Addicts. Seriously the quality of Querbeet’s subbing is top notch! Nice, clear and easy to read! From past experience the translation flows well too. Anyway, I was quickly flicking through it (I have no intention of watching it at this stage cos I just don’t have time) and it looks pretty amusing!! hehe Some screen shots of the beginning. For those who like mystery/detective stories and with a bit of time to spare, I would check this one out!!! [jdrama] What to look out for this season!?! The cast! We have Yuki Amami (been a fan since watching Top Caster), Yutaka Takenouchi (*jaw drop*), Erika Toda (a pretty face to watch) and last of all…Tetsuji Tamayama!!! STELLAR CAST!! Surely you have to agree!?! But LAST but not least, the MUSIC!! Our music man behind Triangle is BACK!! Hiroyuki Sawano will be taking charge of BOSS’ soundtrack! Now with that list, surely it’s at least worth watching ONE episode!? !